The US Army has revealed that Microsoft has won a contract worth $480 million to supply prototype augmented reality equipment. The deal could see the Army purchasing 100,000 HoloLens headsets from the company. Microsoft says the deal is an extension of its existing relationship with the Department of Defense. The company has previously faced criticism from its employees for bidding for military contracts, but it responded by saying it believed that those defending the US should have access to the best technology. Winning this latest contract -- the aim of which is to "increase lethality by enhancing the ability to detect, decide and engage before the enemy" -- is likely to face similar criticism. 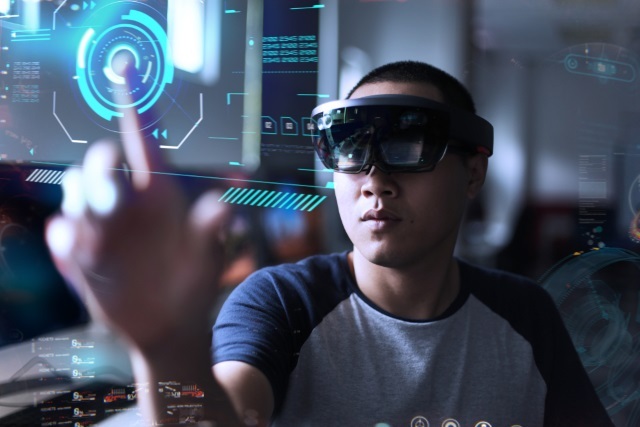 The US Army already uses HoloLens headsets for training exercises, but the new deal means that specially-tailored versions could be used in live combat situations. The Army had previously said that it wanted to use AR headsets that not only monitor wearers' vital signs, but also incorporate features such as night vision and thermal imaging. Augmented reality technology will provide troops with more and better information to make decisions. This new work extends our longstanding, trusted relationship with the Department of Defense to this new area. Microsoft recently had to defend its involvement in the JEDI project -- something Google pulled out of because of concerns about military use of artificial intelligence -- and it seems likely that the company will be forced to defend itself again over the deal.